What Will It Take for iPads To Be In Every Classroom? Image via Wikipedia Ever since the iPad came out in April 2010, I've often been asked about whether schools will be adopting iPads for 1:1 initiatives and when they will be replacing textbooks. Although there are plenty of great apps available, a few case studies where schools have successfully deployed hundreds of iPads, and a promising application that could potentially supplant the traditional hardcover, the actual deployment, management, and overall usefulness of iPads in the classroom (and in my case, a high school classroom) remains to be explored. With the release of LanSchool's iPad application coupled with iPad 2 or better yet for school budgets, less expensive original iPads, the 1:1 discussion can resume (and judging by the comments in Engadget's article, it can get pretty heated). Is Angry Birds Becoming the Law & Order of the App World? Article first published as Is Angry Birds Becoming the Law & Order of the App World? on Blogcritics. Doink-Doink. You know those familiar two notes that could only mean that Law & Order was on that night. Faster than you can say "criminal intent", the Law & Order franchise branched out to include four additional series, three of which are still in production today. Although the original series concluded in 2010, the legacy lives on, and similar series (most notably CSI) have also dabbled in multiple productions. Is there an equivalent to this spin off effect in the App World? Look no further than those Angry Birds from Rovio. Image by big swift via Flickr As I'm engrossed in the NCAA March Madness, watching VCU take down the remaining #1 seed Kansas, I'm reminded of the Discovery Educator Network's own March Madness, hosted on Bracketeers. First of all, how cool is the site Bracketeers? I could see teachers designing class projects where students create brackets related to subject matter - famous artists, writers, poets, chemical elements, biological species, even mathematical formulas. If students back up their reasoning for their seedings and matchups, one could imagine a reasonable bracket created for almost any topic, and with March Madness a yearly event that captures the attention of millions, why not offer a related tool to engage our students? There's still time to create a bracket, but onto the DEN's own competition and how my picks fared in the early matchups. Image via Wikipedia Article first published as Why I Need to Use Three Web Browsers Everyday on Blogcritics. With new versions of web browsers coming out regularly, including the heralded Firefox 4 (released on Tuesday), I am excited but certainly not holding my breath that the next version will be the one to rule them all. As it stands, I open multiple browsers daily, as each has their own strengths and weaknesses. On top of that, certain web applications or websites work better with specific browsers, and I have no choice as these applications are essential for my work as a teacher, a staff developer, a blogger, and recently, an editor. This week, a colleague shared a great site that can used for creating games and playing them online. The site, purposegames.com, allows you to create and play new and existing interactive games. Currently, there are two different types of games, one being a standard multiple choice format, while the other is a marker type game where you need to click on the place where a specific word, term, or phrase belongs. For example, one of the site's more popular games, The States of the USA, records how long it takes for you to correctly identify the position of all 48 continental states. There are similar examples for all the countries on the other continents. Image via Wikipedia Interestingly, I had multiple requests yesterday (including one from my father in-law) asking about what web camera would best work with Skype. At ETHS, we are starting to get more classrooms involved with possible exchanges and Skype is a natural and economical resource for connecting two sides of the country or the world together. In an attempt to leverage our increased deployment of over 70 document cameras this year, I had a teacher test our CP-155 document cameras with Skype, and although we successfully connected with video, she informed me that real-life usage proved to be less than ideal. To the defense of AverMedia, when I asked a representative about possibly Skyping with the doc cam, they discouraged me from proceeding. It's just not meant to be a web cam at this point in time. Thus, we take a look at some hardware options designed to bring your video into the world of Skype. AT&T Buys T-Mobile - Who Gets What and What About Verizon? Article first published as AT&T Buys T-Mobile - Who Gets What and What About Verizon? on Blogcritics. In a move to steal some of Verizon's publicity following the introduction of the iPhone 4 and shared release of the iPad, AT&T decided to make some noise by offering $39 billion to purchase T-Mobile, making the combined wireless carrier the largest in the nation. Before you can say "Where's my T-Mobile iPhone?" let's take a closer look at what this might mean for all parties, including Big Red (Verizon). Article first published as Bracket Busting Apps—Guide to March Madness on your iPhone, iPod, iPad, and Android. on Technorati. As we near tip-off of the first real round of the NCAA Tournament, let's take a look at how you can follow all of the madness on a mobile device assuming you won't be cemented on a couch or a bar stool for all 67 games in the tournament. First we'll look at a few apps found on Apple's iOS platform followed by the less abundant options found on Android. Inside this issue: Technology Teacher RecognitionParent Teacher Conferences (ETHS)Internet Safety (ETHS)Quick Tech TipsEdTech Conferencesand more!Check it out after the jump. App Review: March Madness On Demand for the iPhone, iPod, and iPad. Article first published as App Review: March Madness On Demand for the iPhone, iPod and iPad on Technorati. Selection Sunday, Bracketology, March Madness. Yes, it's the most wonderful time of the year for college basketball fans and we've come a long way in terms of following the tournament at home or at work. As numerous news articles will undoubtedly point out in the next few days, workplace productivity is about to take a big dip and it's largely due to the ease in which fans can follow the tournament. 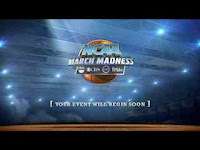 This year, for Apple iOS device users, the free NCAA March Madness On Demand (MMOD) app (iPhone/iPod and iPad) will make it even easier as the app will stream all games from the first round through the Final Four (including those found on the obscure TruTV network). Article first published as Apple Releases iOS 4.3—A Hands-on Review of the New Features on Technorati. Two days before the release of the iPad 2, Apple allowed those with iPods (3rd and 4th gen), iPhones (3GS and 4 GSM), and first-generation iPads to upgrade the OS to experience the new features as revealed during last week's keynote presentation. 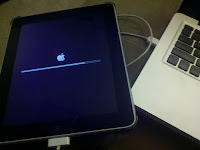 So, what do new iPad 2 users have to look forward to, and will the updated OS bring new life to existing devices? A first day's report and reflection follows below. Image by paul.klintworth via Flickr Yesterday, I participated in a panel titled "Does My Teenager Need Help?" Since I was representing the technology side of things, my first thought as to how parents and teachers would answer that question was "No, my child/student knows more about technology than I do." Although that may be the case for discussing the latest trends in gadgets and gaming, Rushton Hurley astutely pointed out in his keynote at ICE, "students simply do a better job of hiding what they don't know." Article first published as Apple and Google's Popularity Described in Three Words on Technorati. After reading an article on Apple and Google's respective positioning as the top two most admired companies in the world, I couldn't help but 1) agree with the rankings, 2) further reflect on what makes them so great, and 3) come up with three words for each company that offers some additional reasoning on their climb to the top. Article first published as Knowing When To Buy Your Next Apple Gadget on Technorati. So you just bought an iPad? Congratulations! Yet, the next thing you hear in the news is that you shiny new toy is now being replaced by a brand new edition. What do you do now or better yet, how can you prevent this from happening again? Such is the quandary of any gadget user, whether you're early adopter or a wait until it's tested and thoroughly reviewed buyer. Technology evolves and companies looking to stay ahead and sell devices need to keep their product line fresh. 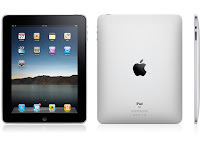 Article first published as iPad 2 Officially Announced—Breakdown and Analysis of Apple's Special Event on Technorati. Interestingly, Apple chose not to utilize a live stream for this keynote, which might have given you reason to wonder just how big of an event they were considering the iPad 2 to be. Nevertheless, there were plenty of opportunities to follow along via live bloggers. And now that we finally have word from Mr. Jobs himself, how does the new iPad 2 compare to all the expectations and hype going into today's event? 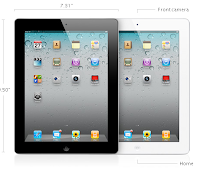 Let's take a closer look at what was unveiled for the year of 2011, or the "Year of the iPad 2." Linkable - The Best Way to Share and Organize Links? Article first published as Linkable—The Best Way to Share and Organize Links? on Technorati. In the past year, I've created so many accounts that all promise to do the same thing: keep track of my bookmarks. Delicious, Digg, Stumble Upon, you name it - I've signed up for it. However, I have not kept up with any of these, and none have come close to satisfying my desire for something simple, visual, and efficient in keeping track of all the cool new tools and websites that come my way. And that is when I found Linkable. 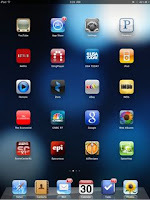 Article first published as Best New and Notable iPad Apps for February 2011 on Technorati. February brings us the shortest month of the year, but there were plenty of new titles flooding the App Store. Compared to last month's offering, these 28 days provided plenty to choose from. Continuing the monthly feature, I detail some of the best along with many of the rest as we head into March which should also bring us news of a new device on which to load these apps.